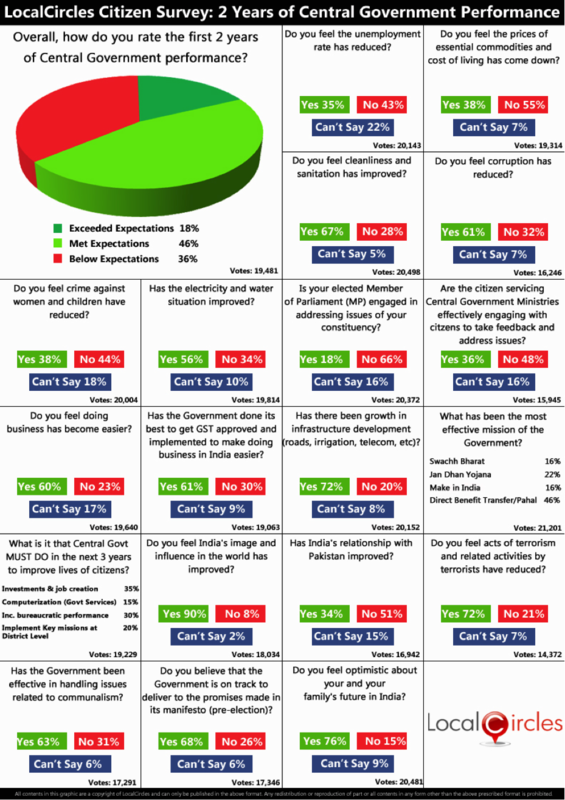 May 26, 2016, LocalCircles (www.localcircles.com), India’s leading citizen engagement platform today has concluded its citizen survey on 2 year performance of Central Government. Over 150,000 citizens in the Make Railways Better circle hosted by LocalCircles had called for Services & Amenities as the top focus for Rail Budget 2016. The budget presented by Minister of Railways had Services and Amenities focus at the core of it. However ticketing policy changes suggested by citizens were not included in the budget and still remain a top area of citizen concern. Over 100,000 unique citizens from different parts of India and some NRIs participated in this exercise which lasted almost a month and included a combination of 20 polls and discussions. Over 15,000 citizens participated in each one of the polls and a total of 375,568 responses were received making it a very large sample size. The sample also included people from all age groups 18 and above. Also, 46% of the respondents were from Tier 1 cities, 27% from Tier 2 cities and 27% were from Tier 3 and rural parts of India. 17) 64% believe the Government has met (46%) or exceeded (18%) expectations, 36% find performance below expectations. 12) Developing 2-3 model states where central reforms/missions flow seamlessly to the ground level and benefit the common citizen. 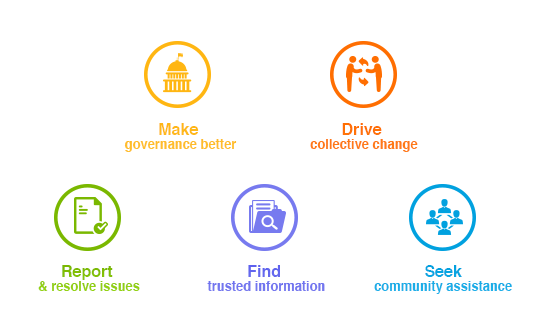 LocalCircles is India’s leading citizen engagement platform that connects citizens at local, city and national level to participate in governance and make their urban life better. LocalCircles has more than 1,000,000 citizens connected on it across the country. All data and poll results are an exclusive copyright of LocalCircles so please give due credit.